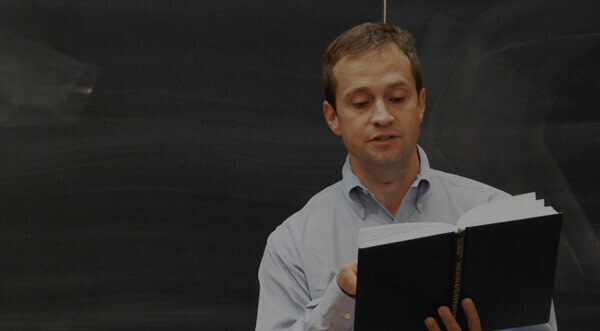 This lecture treats the first two books of the sequel to Paradise Lost, Paradise Reqained. The difference in style and subject matter is described. The poem’s depiction of the Son of God and Satan, specifically the characters’ seeming inability to recollect any of the events of Paradise Lostcor the Bible, is closely analyzed. At the lecture’s conclusion, similarities between the Son’s slowly developing sense of his identity and Milton’s own narrative of his poetic development are examined. Professor John Rogers: Paradise Regained. Well, as anyone who’s read – and maybe there’s someone here in this room who has read the continuation of the novel Gone with the Wind – as anyone who has read that knows, or as anyone who’s seen, let’s say, “The Bride of Chucky” or “The Fast and the Furious, Part 3,” knows, sequels are rarely greater than the original works whose stories they continue. It’s almost as if the diminished appeal was something like an inevitable and necessary fact of the sequel. It just comes attached to the notion of the sequel. I think that the disappointment aroused by a sequel, a sequel of any kind, is a phenomenon about which John Milton, as he wrote Paradise Regained, must have been extremely aware. Like a lot of critics of Milton, I have a hard time believing that it was Elwood, squirmy little Elwood, who planted the idea of a sequel to Paradise Lost in Milton’s head, but I think it’s nonetheless interesting that this story has been so widely circulated. It’s almost invariably cited by scholars of Paradise Regained because I think in some way readers are looking for some excuse really for Milton’s having written it. Paradise Lost seems in itself so absolutely complete and so magnificent. The idea that it requires a sequel is one that seems suspicious or questionable to a lot of Milton’s readers. Now, Milton’s own nephew, Edward Phillips, described the way in which readers even in Milton’s lifetime judged the sequel to be the inferior, the lesser of the two works. Phillips tells us in his biography – and this is actually usefully included in the back of the Hughes edition – Phillips tells us that Paradise Regained “is generally censured to be much inferior to the other, though [Milton] could not hear with patience any such thing when related to him.” I love this image of the old man impatient with any comment that might belittle the accomplishment of the sequel, and I think it’s a moving image. If Milton’s nephew is right here, as I suspect he is, then I think it’s worth pursuing the reason for which Milton might have considered Paradise Regained, the sequel, to be the greater work or a work in some way more sophisticated and more advanced than Paradise Lost. I think in a lot of ways it is exactly that. Now, surely one of the first things that we notice when we read the sequel to Paradise Lost is really the radical difference of its style. The literary style, or what we can think of as the verbal texture, of Paradise Regained really constitutes one of its greatest departures and obviously one of its most deliberate departures from the first epic. Although most readers of Regained find it less stylistically pleasing than Lost, Milton has embraced this style, I think, for an important reason. He has very consciously imposed a set of constraints on his verbal style and a set of constraints on his entire poetic imagination. Our appreciation of the beauty and the meaning of this poem is actually, I think, inextricable for our understanding of this poem – our understanding of the severity of the lesson that this poem has to teach us. This poet – and we know this because we’ve spent a lot of time with John Milton now – was instinctively given to verbal excess to an almost unimaginable degree. He clearly had to struggle hard to rein in a lot of his most powerful literary impulses in order to produce a work such as Paradise Regained, a work of such seemingly charmless severity. This poem has been scrubbed clean of verbal and imagistic extravagance, scrubbed cleaner even than the last two books of Paradise Lost, which were themselves radical departures. I think in a lot of ways Paradise Regained resembles stylistically, in terms of its verbal texture, the last books of Paradise Lost. Now, Milton has purged this poem as well of the grammatical obscurity, the syntactical obscurity that we found in Paradise Lost. You remember all of those ambiguities, syntactical ambiguities, that were always opening up far more signifying possibilities than we could even begin to deal with. Milton has clipped so many of those long and wandering sentences into short and unequivocal declarations, and he’s replaced the lushness of so many of those similes and literary ornaments with what we can think of as the Puritan austerity of simple argument and simple statement of fact. This poem has been written in what is often described now as the period’s plain style – something like the conversational style of unambiguous, straightforward language that was supposedly favored by the Puritan clergy in the seventeenth century, and I think that makes sense. This poem has been written in what we can think of as the plain style. But if that’s the case, how strange and how surprising that this poem, which is written in a poetic language as plain and unambiguous as anything Milton ever put on paper, how unbelievably odd it is that this poem paints for us a world in which so few statements can actually be understood! All of the characters in Paradise Regained, and I’m including – there aren’t that many of them – but I’m including, of course, the Son of God. All of the characters fail at some time or another to understand even the clearest, even the most perspicuous language. Much like Adam in Books Eleven and Twelve of Paradise Lost, the characters in Paradise Regained are on some level profoundly clueless and their cognitive incapacity – which actually comes in a variety of shapes, depending where you are in the poem – their cognitive incapacity usually involves their inability to interpret fully and to interpret accurately a statement or a text that in our estimation seems to be just about as clear and as unambiguous as it could possibly be. Now, this is the anticipation of the end as presented – as imagined in Genesis. It’s this text that the New Testament uses to forge a connection between the story of Christ, which is obviously the New Testament story, and the initial text in the tradition, which is the story of Adam and Eve. For Christians, Christ of course is the woman’s seed, the great-great-great-great-great-great-grandson of Adam and Eve. He will one day bruise the head of the serpent, who is interpreted by Christians to be Satan even as Satan will be dogging his steps. Now, the text of this prophecy is reproduced and reworked, I think, almost to a compulsive degree in Paradise Lost. Allusions to the prophecy in Genesis, the Protoevangelium, appear in five separate places in the last books of Milton’s epic and actually in far more places than that in Paradise Regained. This prophecy is a text that has to be read and interpreted, it’s mulled over and reinterpreted, and it’s Michael’s task in the last books of Paradise Lost to teach Adam how to read it. Adam has to figure out – and this actually in itself requires a lot of tutelage on Michael’s part – that the serpent is actually Satan. That’s nothing that comes instinctively or intuitively to Adam, he also must learn that, of course, the seed is the Messiah who Adam will eventually interpret to be the Son of God. Let’s look at the end of Paradise Lost here because Michael is not only teaching Adam how to understand the Protoevangelium, but he’s teaching us also I think – preparing us to read Paradise Regained. So this is page 463 in the Hughes. It’s Book Ten of – actually, I’m going to be skipping around. The first passage that we’ll be looking at is Book Ten, line 179. That’s when the Son delivers the prophecy to the serpent. Then at line 500 of Book Ten, we see Satan trying to figure out what the Son could possibly have meant. In Book Eleven, line 115 – if you can flip through pages fast enough – God himself explains to Michael in heaven about the prophecy of the seed. Then Michael dutifully relays this message to Adam himself in Book Twelve, line 150. Of course – and we’re used to this because we’ve read the last two books of Paradise Lost – Adam is wrong to think that he has a clear understanding of the great expectations of the end. He imagines once again with a kind of singularly dull-witted literalism just how this prophecy of the seed is going to play out. So at line 383 Adam says, “Needs must the Serpent now his capital bruise / Expect with mortal pain [and a capital bruise is literally a bruise to the head]: say where and when / Thir fight, what stroke shall bruise the Victor’s heel.” Adam, of course, had utterly imagined – or imagined precisely the wrong kind of ending. This isn’t going to be a physical fight whose victory can be pinned down to some specific time and specific place, a kind of terrifying event for which tickets could be purchased. Michael recognizes Adam’s interpretation as a misinterpretation and so he corrects it. At line 386 Michael tells Adam this: “Dream not of thir fight, / As of a Duel, or the local wounds / Of head or heel…” We’re not supposed to imagine some gunslinger showdown at the end of time between the Messiah and the serpent – and remember that Adam is still imagining the serpent being a serpent; he hasn’t yet figured out that the serpent is Satan. We’re not going to have an actual war capable of producing actual wounds. Adam, of course, in his defense – and I think he does need a little defending here – has in mind the story of the war in heaven, the story of an actual fight full of local wounds that – all two local wounds, they were healed instantly – that Raphael had conveyed to him, of course, in Book Six and which David Currell [Yale graduate student] had wonderfully explicated for our benefit. But the battle that will turn out to reconfigure all of Christian history isn’t going to proceed along the vulgarly literal line set forth in the war in heaven. It’s as if Michael is trying to tell Adam to forget everything that Raphael told him, to forget that monumental war that Raphael had relayed, because that kind of thing simply isn’t going to happen anymore. The fight between Satan and the seed, or the serpent and the seed, is going to be a much subtler one. The Messiah will begin his destruction of the serpent by becoming a man himself just like Adam had become a man at his birth. That seems to be pretty much the gist of Michael’s theology in Paradise Lost. Well, so Milton finishes Paradise Lost, evidently he begins Paradise Regained even before Paradise Lost has found its way into print, and Paradise Regained is published four years later in 1671. It’s all about that redemption, that regaining of paradise that Michael had prophesied at the end of Paradise Lost, and, as you can tell from the title of the sequel, Paradise Regained is all about returning and repetition. We shouldn’t think that the sequel here is simply repeating and elaborating on the ideas with which the original poem had concluded. While it’s true that Paradise Regained does repeat the Protoevangelium – that prophecy of the Son’s destruction of the serpent that we finally figure out is actually Satan, and it proves to be just as obsessively interested in that bizarre prophecy as Paradise Lost was – this new poem repeats that prophecy with a difference. I think there are all sorts of ways in which the poem is exploring and re-exploring a lot of the implications and a lot of the consequences of the very idea of repetition implicit or compacted in that prefix re- of Paradise Regained. This is a work devoted to how the lost paradise will eventually become the regained paradise. Obviously for Christians, orthodox Christians of almost any stripe, that regaining, that redemption will hinge on the atonement, on the moment of the crucifixion. Well, that’s pretty much out of the question for Milton, so we have to ask the question: how does Milton account for that pivotal moment in Christian history, the turning point from the old covenant with God to the new covenant? How does Milton imagine the shift from Paradise Lost to Paradise Regained? The answer – as we have come to recognize because these are the kinds of the answers that we get when we ask questions about Milton – the answer is a shocking one. Milton quite simply doesn’t mention – and this is unspeakably sublime – he just doesn’t bother to mention the crucifixion in Paradise Regained. Of course, we already know that the subject of the crucifixion is one that Milton has long had an awkward relation to. He wasn’t able to finish that early poem, “The Passion,” that he had written as a young man. In this new poem, Paradise Regained, the story ends before the crucifixion even takes place because for Milton, in this absolutely remarkable poem, the crowning moment of Christian history and the point at which lost paradise is actually regained – something that we are, of course, all ourselves the beneficiaries of – it has nothing whatsoever to do with the Father’s sacrifice of the Son. And it has nothing to do with the magnificent battle, for that matter, between Satan and the Messiah. It’s a moment mentioned rather briefly in a couple of gospel accounts of the life of Jesus. The Gospel of Matthew and the Gospel of Luke narrate the story of Jesus fasting – this all happens in a few verses in the New Testament – the story of Jesus fasting for forty days in the wilderness and the three temptations to which Satan subjected Jesus during that time. Now, in the Gospel of Luke, which is the version that Milton follows most closely, Satan tempts the Son three times. He asks the Son to turn stones into bread in order to free himself, and of course the Son refuses. He asks the Son to accept all the kingdoms of the world as Satan’s own gift, and the Son refuses. And he asks the Son to prove his divinity by casting himself off the pinnacle of the temple, and the Son refuses. That pretty much is it, three temptations and three acts of resistance; and it is this simple – and of course nothing is ever that simple, but it’s this more or less simple resistance of temptation in Paradise Regained that constitutes the very center of Christian history. This is an extraordinary and, for me, unbelievable way of rethinking and re-imagining Christian theology and the story of Christian history itself. The very premise of this poem is, I think, a transgressive one, utterly changing all of the emphases in traditional Christian doctrine. The focal point, of course, in Milton’s poem isn’t really theological. It’s not mystical or sacramental: it’s ethical. It’s not the magic or the mysticism of the crucifixion or the resurrection that has anything to do with the regaining of paradise here. It is a simple and entirely, I think, un-miraculous action of behaving ethically. It’s something that any of us could do. As I mentioned a minute ago, this poem is all about returning and repetition, and the Protoevangelium is a text to which the characters are themselves continually returning. From Heav’n pronounced him his beloved Son. Now, we of course read what I take to be these relatively simple and unimaginative lines, and if anything, I think, we should be overwhelmed by their exceptional straightforwardness. It’s almost impossible to understand [laughs] what it is about this baptismal pronouncement that could prove so troublesome and so difficult in the poem, but no one in the poem – and that includes, of course, the Son of God himself – no one in the poem has anything even close to a clear idea about what these lines actually mean. This radical uncertainty at the very heart of the poem involves the fact that this incredibly important revelation is the product merely of the Father’s voice. We’re no longer in the world of Paradise Lost where man can commune directly with angels and even with the Son of God with some frequency and with a degree of relative ease. Nowhere in Paradise Regained is divinity actually present. Deity isn’t palpable; it’s not indisputably there in the world of this poem, and all we have is the Father’s voice, his pronouncements, or in other words all we have is a text just like the text of scripture – or in fact, it is the text of scripture. The Father has left us with a little trail of his presence [laughs] in the form of the words of the Hebrew Bible, and everyone in the poem is desperately scrambling to interpret this verbal trail, these words. All of this is a way of saying that the universe of Paradise Regained is essentially, to my mind, a secular one. This is essentially the world that Milton had introduced us to at the end of Paradise Lost, and in this secular world all one can really do is read the text and try to figure out what it means. This is all that Satan and the Son are in a position to do in Paradise Regained, and I think this is what gives this poem its powerfully Modernist feel. It’s as skeptical and uncertain as it is possible for such a profoundly and piously religious poem to be, if that oxymoronic statement makes any sense. Now, “thunderstruck” is a striking word here. It bursts out of this passage as a little metaphor, and we’re taking whatever we can get here. We take note of it because Milton has given us so little by way of poetic metaphor in the severely restrained literary world of Paradise Regained that we’re grateful. The word “thunderstruck” is, in fact, so striking and so powerful that Milton has used it only one other time in all of his poetry. It’s clear here that Milton is asking us to remember that earlier occurrence so I’m going to ask you: Does anyone here remember where else in Milton – extra credit here – where else in Milton we have encountered the word “thunderstruck”? Okay. No one in Paradise Regained seems to have remembered the appearance [laughs] of the word either, and so you’re in good company. It’s at this terrible moment of being thunderstruck by the awesome power of the Son that the rebel angels throw themselves headlong down from the verge of heaven. This is obviously an unbelievably consequential moment – this is the moment of Satan’s fall. I think there’s got to be a point to Milton’s recycling and repeating of this word, this striking word from Paradise Lost, in the new poem, Paradise Regained. I think he’s signaling some kind of connection between the horrifying moment, from Satan’s perspective, of the Son’s victory over the fallen rebel angels in the earlier poem and the Son’s new victory, or what’s about to be his new victory, over Satan that begins at this moment, centuries later, at the Son’s baptism. Milton alludes to that climactic moment in Paradise Lost but on some level this is an allusion that the later poem, Paradise Regained, doesn’t know what to do with and, in fact, never really does anything explicit with. Satan is thunderstruck at the baptism just as he was thunderstruck at the war in heaven, but Satan himself is incapable – and this is just ingenious on Milton’s part – he’s incapable of understanding how these two moments might be in any way related. I don’t know what kind of television, if any, you all watch. But I do know that – not when I was an undergraduate because we got such terrible reception in the days before cable, but when I was a graduate student and living off campus and I had cable television – I spent an inordinate amount of time watching soap [laughter] operas during the day. It was a way not to write my dissertation. If you’ve spent as much time as I have watching thousands of hours of soap operas, [laughter] you know what it means to be thunderstruck, which is something I take it to be closely related to being struck by lightning. At least in the 1970s and in the ‘80s, there is a point in almost every soap opera at least once every two or three years in which someone is struck by lightning, [laughter] and the consequence is invariably the same: it’s the condition of amnesia. Soap operas obviously couldn’t survive without some recourse to the amnesia plot, the lightning-striking plot, because it’s a way to keep all of the actors intact but [laughs] reconfigure and spice up a lot of the plots, where the same actor gets to be someone completely new because he has to develop an entirely new life and new relationships with all of the preexisting actors and cast members. I think it’s something very close to amnesia that Satan is struck with at this moment in Paradise Regained. It’s as if Satan has at this very moment repressed any memory of his first having been thunderstruck. He has completely forgotten about the Son’s role in the war in heaven, and I actually have to be more specific than that: Satan is incapable of applying to the current situation any memory of who it was who had beat him in the war in heaven. He has repressed the present significance that is significant for the present moment of the Son of God’s victory, and it’s the nature of this repression, I think, which is at the very center of Paradise Regained. The central advance that this poem has made over Paradise Lost is its refusal to represent traditional epic action. There’s no big battle here. There’s no war. There’s no huge fight in which the woman’s seed, Christ, bruises Satan’s head. There’s really actually no overt action at all. The hero quite simply does nothing and he just keeps saying no. Whatever action this text presents to us is clearly psychological, and the psychological problem that I think overwhelms all of the characters in Paradise Regained is the simple fact that they cannot [laughs] manage for the life of them to relate the current story that they’re inhabiting to the events of Paradise Lost. They have forgotten Paradise Lost. Now, let me ask you to think about the dramatic situation of this poem. Satan knows perfectly well that God has prophesied that one of his sons will rise up one day and destroy him. He knows that this is going to happen, and he’s very clear about the certainty of the prophecy from Genesis 3:15. Satan even knows that it is this man named Jesus who’s being baptized now who will one day destroy him and who will one day be responsible for bruising his head; but Satan seems for some reason to have no way of knowing that the Son of God, who will at some point in the future be responsible for his doom, is the same Son of God who had devastated all of the rebel angels, and Satan himself of course, in the war in heaven. Satan has no way of knowing that the prophesied Messiah that he’s dealing with now will turn out to be the Son of God, the first begotten. He has no way of knowing that the Messiah will be that same absolutely insufferable angel whom the Heavenly Father had promoted so arbitrarily and so ostentatiously above all of the other angels in Book Five of Paradise Lost. The traumatic scene of that exaltation, “This day I have begot… / My only Son,” “[T]o him shall bow / All knees in Heav’n…,” “[H]im who disobeys / Mee disobeys” – you remember all of those thundering words of the Father. Satan is incapable of relating that traumatic scene to this traumatic scene, the traumatic scene that he’s witnessing now, the “this is my beloved Son” at the baptism. Look at what Satan says – it’s excruciating and it makes us squirm, I think – at the top of page 485. This is Book One, line eighty-nine. Satan is trying to figure out what God meant by his strange utterance at the baptism. You can see Satan coming so close to an understanding, but he can’t seem to make the final logical leap, and it’s a leap, of course, that I think we all feel confident that we would have made or been able to make. Line eighty-nine; this is Satan: “His first-begot we know, and sore have felt, [laughs] he’s remembering the war in heaven] / When his fierce thunder drove us to the deep; / Who this is we must learn…” So he’s able to remember the sensation of being thunderstruck in Paradise Lost, but he can’t connect it with the thunderous proclamation of the Son at the baptism. It’s as if we have a failure of the synaptic nerves in Satan’s brain and he can’t make what seems to be to us the obvious cognitive link. I think his inability to make that link is surprising, but we have to understand that Satan has been traumatized. It’s as if the war in heaven had produced in Satan something like a post-traumatic stress disorder, and the nature of this disorder is his – well, I think it’s perfectly understandable in just simple psychological terms. You’ll remember that the original motive for Satan’s fall was the Father’s exultation of his beloved Son – his now beloved Son above all of the other angels – and that the resulting sibling rivalry was the spur for all of Satan’s later actions. The dilemma of sibling rivalry is at the heart of Paradise Regained as well, but sibling rivalry in this poem exists solely as a phenomenon that has to be repressed. Satan simply cannot and will not make the cognitive connection between the rivalry he feels now to this Messiah-character and the one that he had felt, that primal, originary rivalry that had proven so devastating in Paradise Lost. Now, we may feel that we can understand on psychological grounds the reason for Satan’s inability to read the full meaning of God’s pronouncement at the baptism, but I think the true genius of Milton’s poem is the fact that the Son is just as clueless as Satan. The Son has even less memory, in fact, than Satan about his former activities in heaven. The Son can’t even begin to reconstruct what had happened in Paradise Lost because in assuming his earthly mantle, he seems to have suffered a much greater and much more severe case of amnesia than Satan had. I think it’s this image of amnesia, or of some kind of repression or some sort of pathological forgetting, that may provide the most useful way of thinking about the relation of Paradise Regained to the earlier poem, Paradise Lost. Now, let’s think about it from another perspective. In writing Paradise Regained, Milton has clearly had to repress everything that had been – well, not everything but pretty much everything – that had been so liberating, so revolutionary, and so remarkable about Paradise Lost. Now it might be tempting to argue, and it of course has been argued, that Milton is just getting old and he’s getting tired and he’s not up to all those similes now, but Milton has severed from his verse all of that luxuriant ornamentation for a deliberate and, I think, a very important reason. He’s purging his verse of what we now take to be its characteristic beauty because he, too, like Satan and like the Son, is struggling to forget Paradise Lost. I think there’s an important sense in which Milton is thinking of the beautiful verse style of Paradise Lost as something like a temptation in this poem, and it’s a temptation that he has to resist. I think this pretty little landscape that we have here is rather jarring in the context of the reserved, the sparing, pleasures typically afforded us in Paradise Regained. It’s jarring because this pleasant grove reminds us, I think, in so many ways of the Garden of Eden from Paradise Lost. Milton’s description here is, in fact, a tissue of echoes from Book Four of Paradise Lost where Eden opens onto a woody theater, just as this grove opens onto a woody scene. This grove seems to appear to possess wood gods and wood nymphs much as the verse of Paradise Lost was filled with the allusions to all of those classical presences that Milton had culled from his lifetime of reading classical literature. But here the deities of pagan literature are branded as superstition – “thus they relate, erring.” All of those elements, those aesthetic elements that had made Paradise Lost so lovable, so engaging, and so enticing are now branded as a temptation. It’s as if the Son were being tempted with something like the literature of Paradise Lost when he’s presented with this opportunity – that he takes, by the way – to enter this grove. It’s important that the Son willingly enters this pleasant grove that has been so carefully fashioned, of course, by Satan. Readers of this poem rightly are always shocked by this moment because this is the Son of God here, after all, and he’s the very picture of virtue and of perfect reason – and he’s made this unbelievably stupid mistake. This is like the mistake that the Red Cross Knight makes in the first canto of The Faerie Queene, entering the wood of error. The beauty of paradise, and by extension the beauty of Paradise Lost, is so tempting, we could say, that even the Son of God feels its overwhelming magnetic pull. Yet Milton, I think, is still working consciously here to renounce all of that extraordinary poetic license that he had taken in Paradise Lost. This new poem explores in more depth and with more insight the merit and the beauty of poetic renunciation than any other poem ever has. I’m convinced of that. This is a poem all about denial and repression, and its deepest and most powerful meanings emerge not through our sense, I think, of what the poem offers but our sense of what it’s not offering or what it won’t permit itself to offer. Now, there’s an obvious and explicit way in which Paradise Regained is about this kind of negation, or this renunciation, of Paradise Lost. Paradise Lost was about man’s first disobedience and the new poem, Paradise Regained, reverses that situation and treats another man’s unswerving obedience to God, an obedience so severe that at times I think it strikes us as unthinking or unreflective. That’s just the obvious way in which Paradise Regained works to negate or undo the effects of Paradise Lost, but there’s another, there’s a more significant, way in which Milton’s later poem attempts to forge some kind of connection with the earlier one. Milton in the new poem is acutely aware of his already having written the great epic Paradise Lost and with this intense self-consciousness. It’s an entirely new neurotic burden for Milton. Paradise Regained takes up the problem that had proven so difficult and so troubling to the younger Milton, and he takes it up once again but, of course, with a twist – and this is the problem of the poet’s career. It’s as if Milton can stand back now and review the autobiographical narrative he had written for himself as a young man and take stock in what he’s accomplished. So think of the basic situation that the Son of God finds himself in Paradise Regained. Even before the remarkable moment of God’s pronouncement at the baptism, Jesus had grown up with the knowledge of his future role as the Messiah. His mother had told him, Mary had told him when he was a young boy of what he was to be. He had at a very early age a sense of the important work that he would perform at some future point in time, but he didn’t know exactly what that work was going to look like. He didn’t have a clue as to when he was actually supposed to begin his work. In short, the Son of God had before him a narrative of his career long before he was able to imagine just how that narrative was going to be fleshed out. If this problem sounds a little familiar to you, that’s of course because it is familiar. This is precisely the position that the young Milton had found himself in. He had declared at a very early age that he was chosen by God to write a poem that his countrymen would not willingly let die. He was going to be England’s literary Messiah, but that was years before he knew what he was supposed to be writing about or even when he was supposed to begin writing. As he says in Paradise Lost, he was “long in choosing and beginning late.” This is exactly the position that the Son of God finds himself in in Paradise Regained. Now, if we read this passage with any sense at all, or with any knowledge, of its author, I think that this moment as seen from the life of Christ – I don’t know. It’s completely absurd. It’s a ridiculous situation. You have Jesus thinking: “I’m supposed to be the savior of mankind. Let me think. What should I do first? I’m really confused here.” No one else has ever and would ever imagine such a scene of a kind of career anxiety in some sort of narrative involving the Son of God. It’s laughable to think of the Son of God as undergoing something like a career panic attack. But this passage is very different and it assumes, I think, an extraordinary degree of significance when it’s placed in the context of Milton’s own ongoing ruminations about his own career. The Son is asking himself how he should publish, how he should make public, the godlike office into which he has now matured. I think it’s impossible not to hear in these lines the analogous concern that Milton had himself revolved in his breast when he was pondering when he should publish or bring into print the fruits of what he knew was his godlike poetic talent. So I want to conclude with this suggestion, the suggestion that Milton has transposed the narrative – this is only one of the myriad things that he’s doing in Paradise Regained – he’s transposed the narrative of his own poetic development onto the development of the Son’s sense of his own identity. By saying this, I don’t want to suggest that all Paradise Regained is an autobiographical poem. I’m convinced, of course, that it is an autobiographical poem; but it is first and foremost, I think, a meditation on the problem of autobiography. Milton is in the amazingly peculiar position of having written his autobiography long before he’d actually lived the bulk of his life. That’s what all those career narratives were doing that he had penned in the early 1640s. How do you actually live a life, the end of which you already know? What’s the relation of the anticipated life narrative to the actual experience of living? These are, of course, the questions that plague Adam and Eve in the last books of Paradise Lost as they learn the future history of their descendants but still have to go about the business of living their lives. These are clearly questions that get to the very heart of Milton’s relation to the prophecy of his own poetic talent, and they’re questions that we will continue throughout this week as we approach the problem that Milton confronts when he writes Paradise Regained. That’s this question: what does it mean, after all, to write a sequel to the poem that “aftertimes will not willingly let die”? Okay. I’m going to end there. I’m going to ask you to make sure you will have read all of Paradise Regained for Wednesday. Okay.